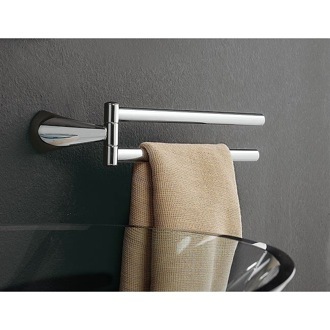 Shop our selection of swivel towel bars and get FREE shipping on all orders over $99! 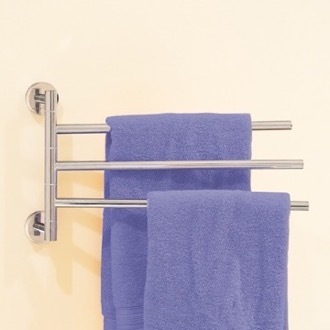 Swivel towel bars are a space-saving towel storage solution. 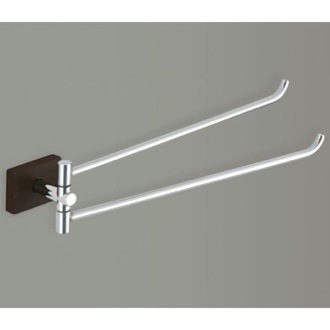 When not in use, many swivel bars can actually lay flat against the wall. 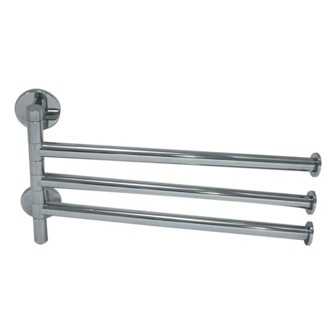 Swivel towel bars typically have multiple arms, allowing you to store more than one towel at a time. 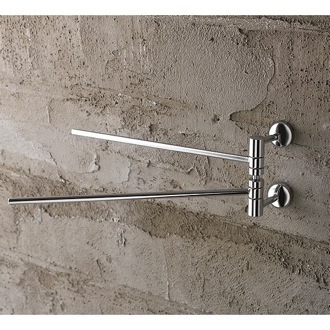 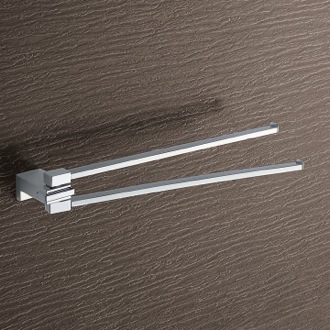 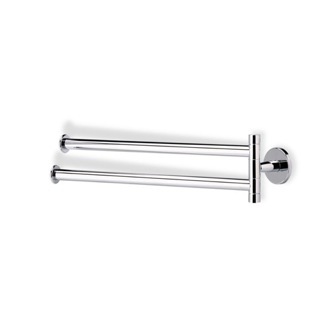 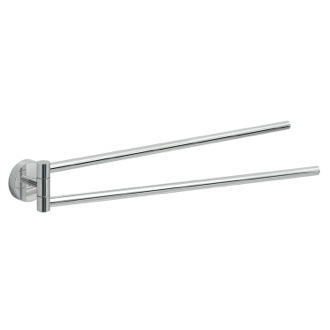 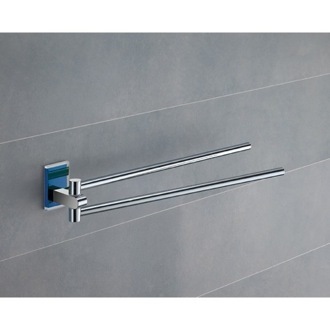 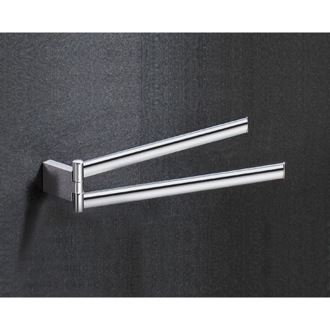 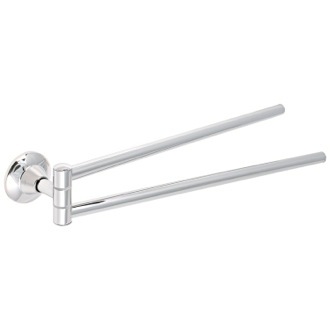 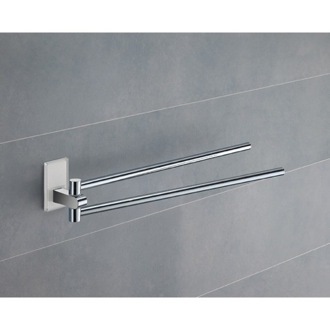 These modern towel rods come in contemporary finishes such as chrome or brushed nickel. 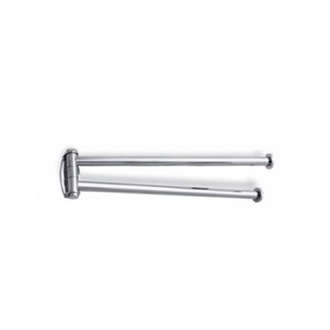 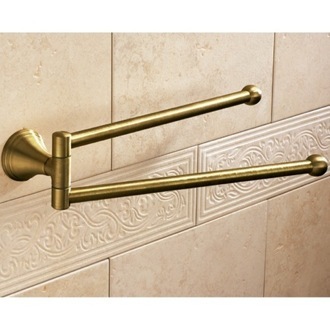 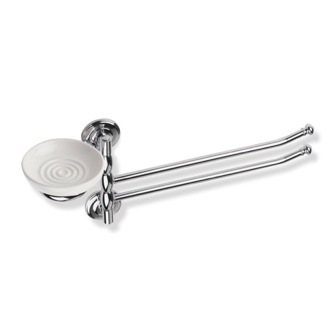 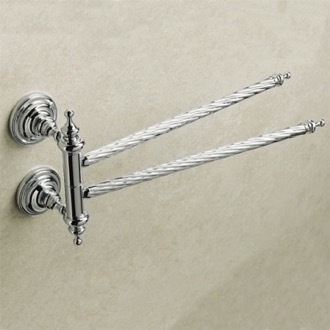 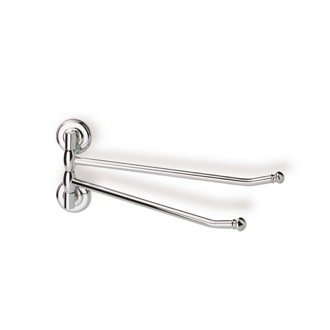 More shopping tips Swivel towel bars are quickly taking the lead in the towel bar arena. 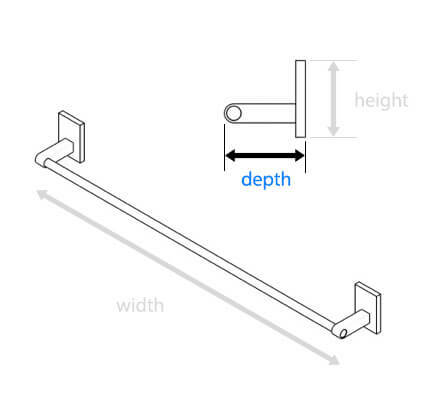 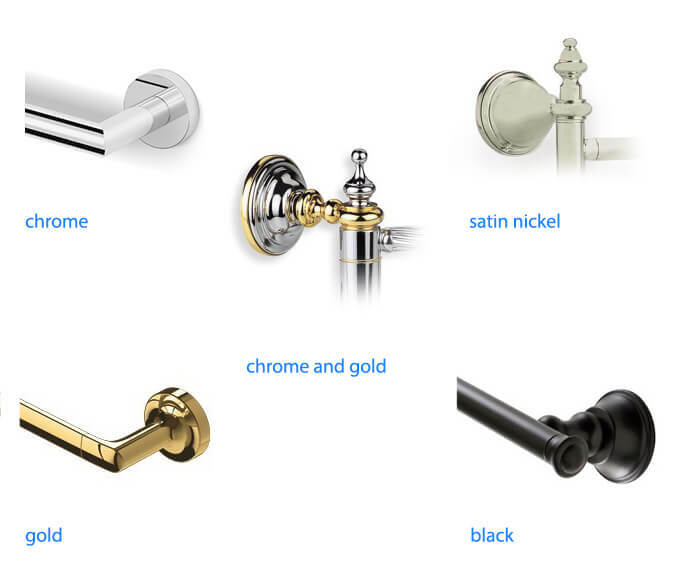 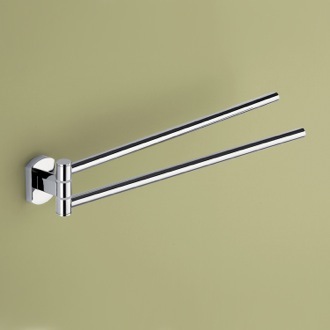 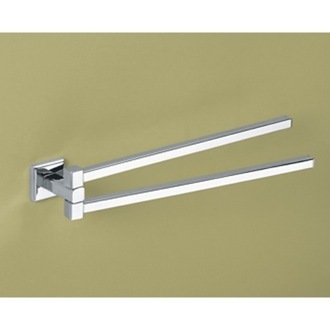 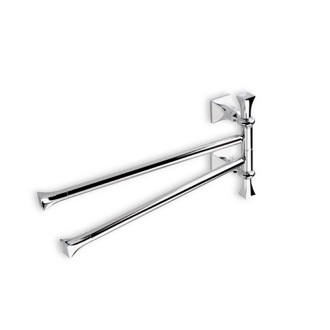 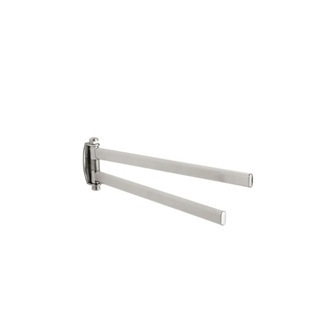 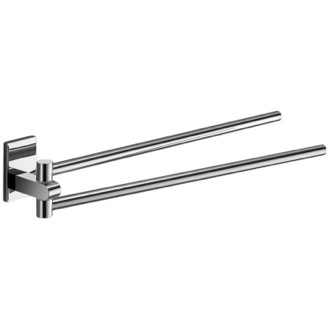 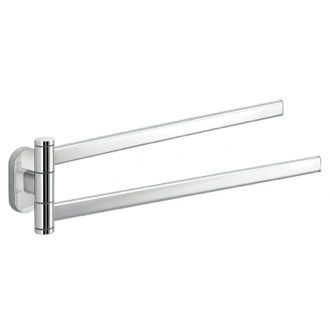 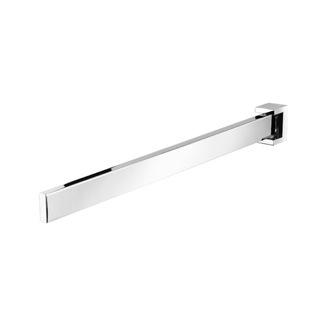 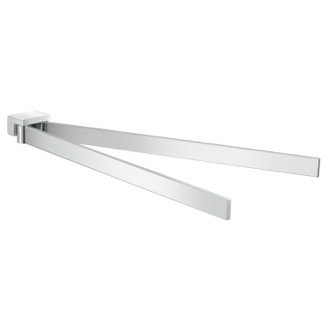 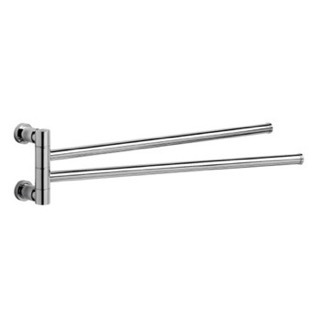 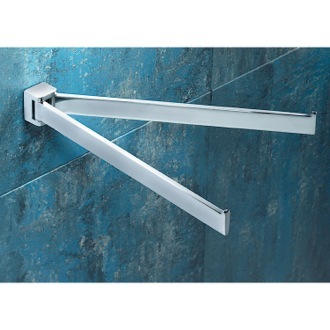 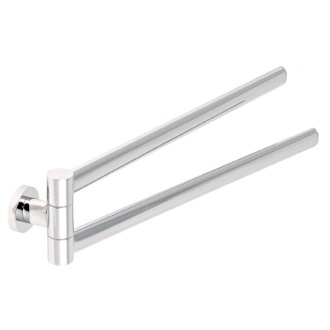 They have several advantages against standard wall mounted towel bars. 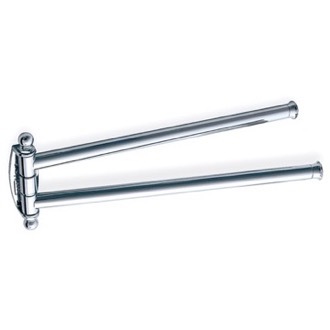 First, they offer flexibility. 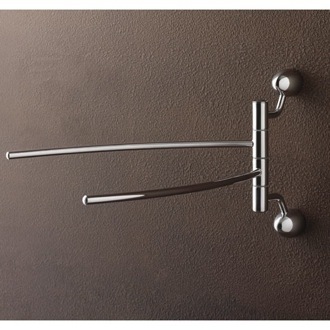 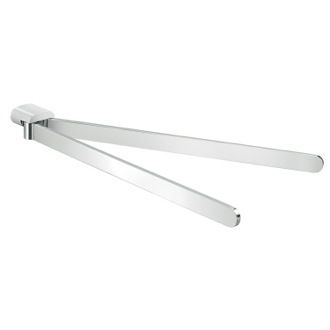 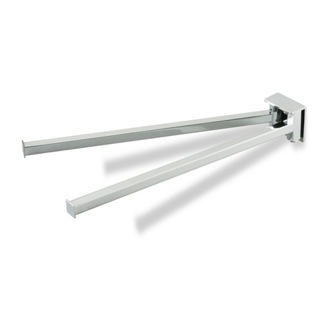 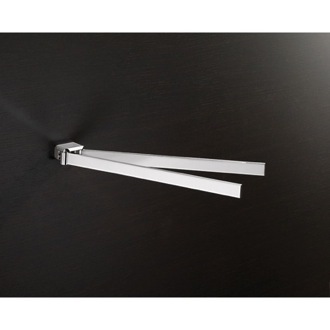 They're secured with hinges that swivel, allowing the bar to swing in a full half circle. 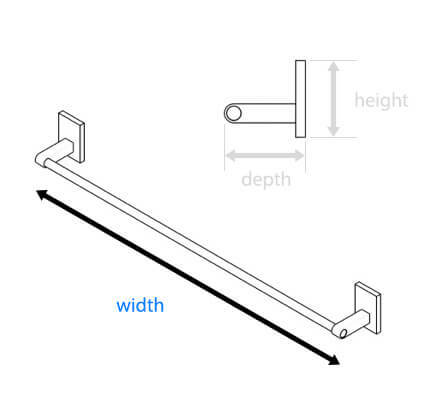 This is a great space saving feature. 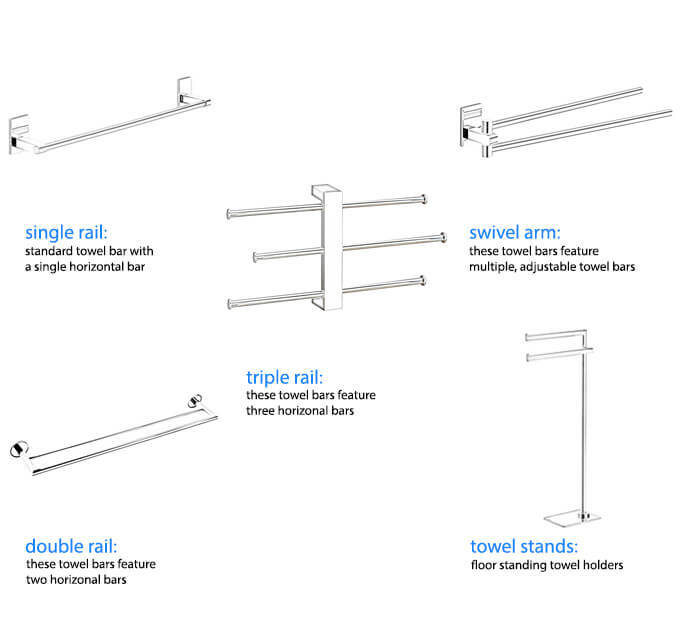 When they're needed for towel storage, they're easily accessible. 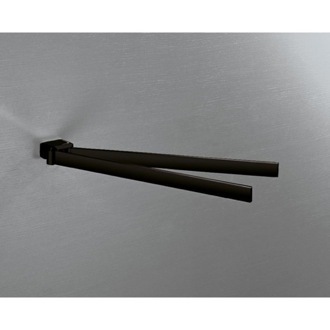 But when they're not needed, they lie flatly against the wall instead of intruding on air space. 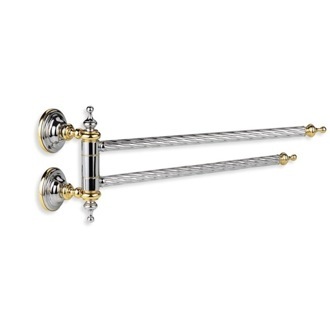 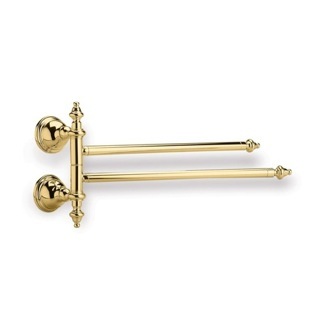 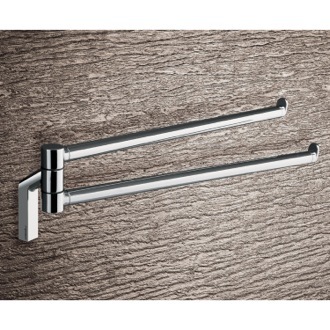 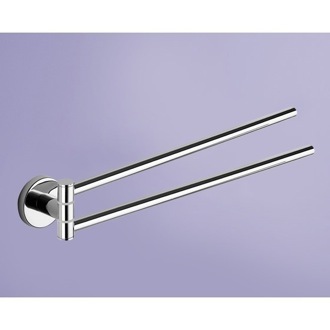 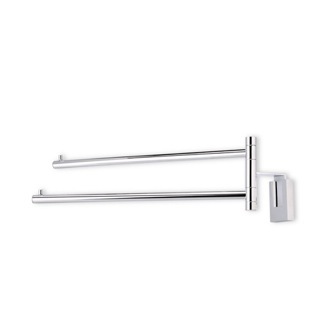 Some of our swivel towel bars include two bars. 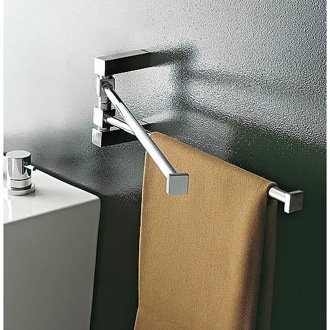 If placed in just the right spot, they give towel storage capabilities for both the sink and shower. 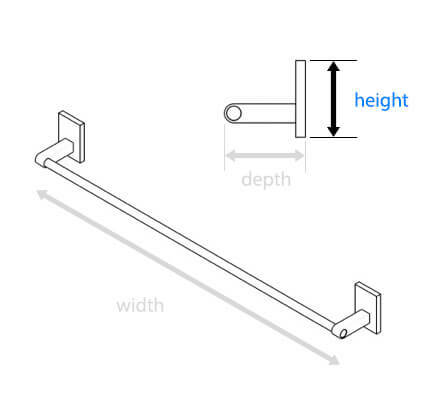 This saves space and money. 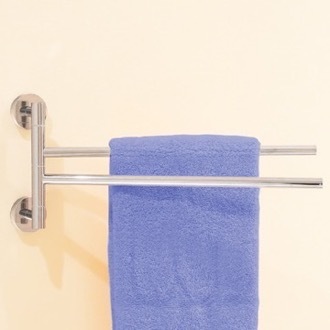 They're simple to install and cause less wall damage than other towel bars. 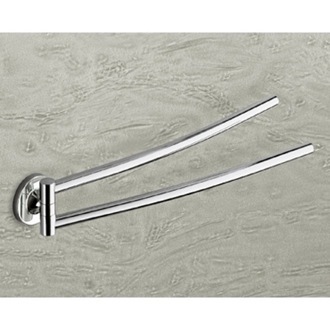 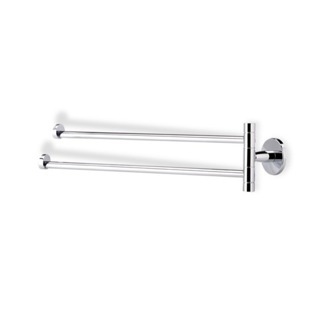 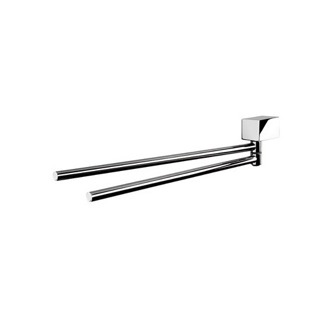 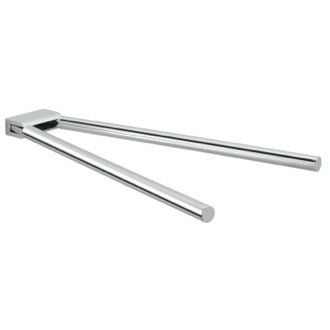 Our variety of swivel towel bars has something for every bathroom size and style.